We are providing ERP website development training. And we develop erp websites also. ERPis short for enterprise resource planning. Enterprise resource planning (ERP) isbusiness processmanagement software that allows an organization to use a system ofintegratedapplications to manage the business and automate manyback officefunctions related to technology, services and human resources. ERP software integrates all facets of an operation, including product planning, development, manufacturing, sales and marketing. 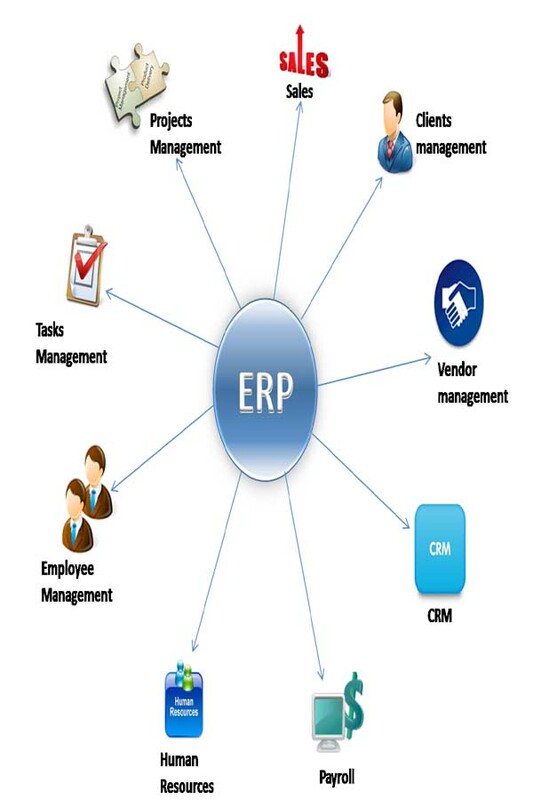 ERP software is considered anenterprise applicationas it is designed to be used by larger businesses and often requires dedicated teams to customize and analyze the data and to handle upgrades and deployment. In contrast,Small business ERPapplications are lightweight business management software solutions, customized for the business industry you work in. Distribution process management, supply chain management, services knowledge base, configure, prices, improve accuracy of financial data, facilitate better project planning, automate employee life-cycle, standardize critical business procedures, reduce redundant tasks, assess business needs, accounting and financial applications, lower purchasing costs, manage human resources and payroll. Some of the most common ERP modules include those for product planning, material purchasing, inventory control, distribution, accounting, marketing, finance and HR. Executives and employees want real-time access to information, regardless of where they are. It is expected that businesses will embrace mobile ERP for the reports, dashboards and to conduct key business processes. The cloud has been advancing steadily into the enterprise for some time, but many ERP users have been reluctant to place data cloud. Those reservations have gradually been evaporating, however, as the advantages of the cloud become apparent. There has been much hype around social media and how important or not — it is to add to ERP systems. Certainly, vendors have been quick to seize the initiative, adding social media packages to their ERP systems with much fanfare. But some wonder if there is really much gain to be had by integrating social media with ERP. Enterprises once attempted to build an all-encompassing ERP system to take care of every aspect of organizational systems. 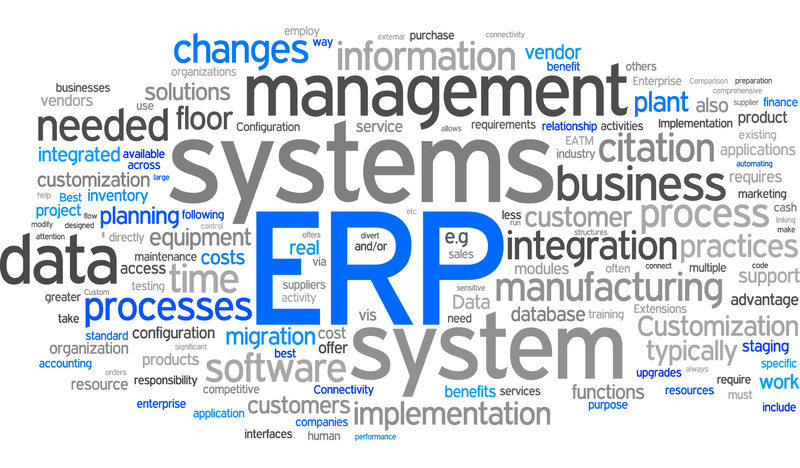 But some expensive failures have gradually brought about a change in strategy adoptingtwo tiers of ERP. Depending on your organization’s size and needs there are a number of enterprise resource planning software vendors to choose from in the large enterprise, mid-market and the small business ERP market.